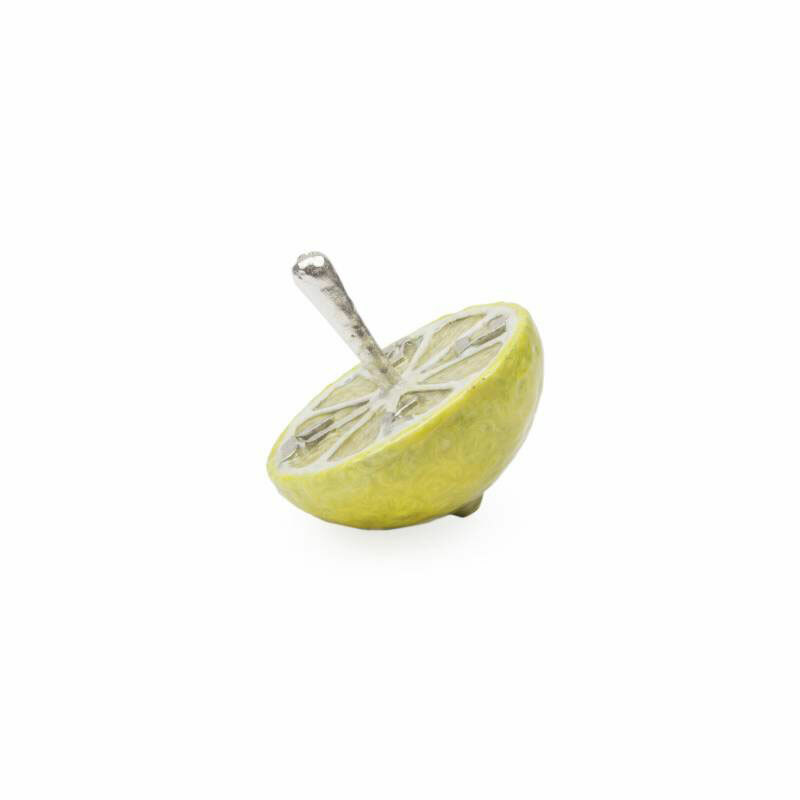 Adorable LEMON Dreidel, made of all pewter body, designed and hand painted as a lemon. 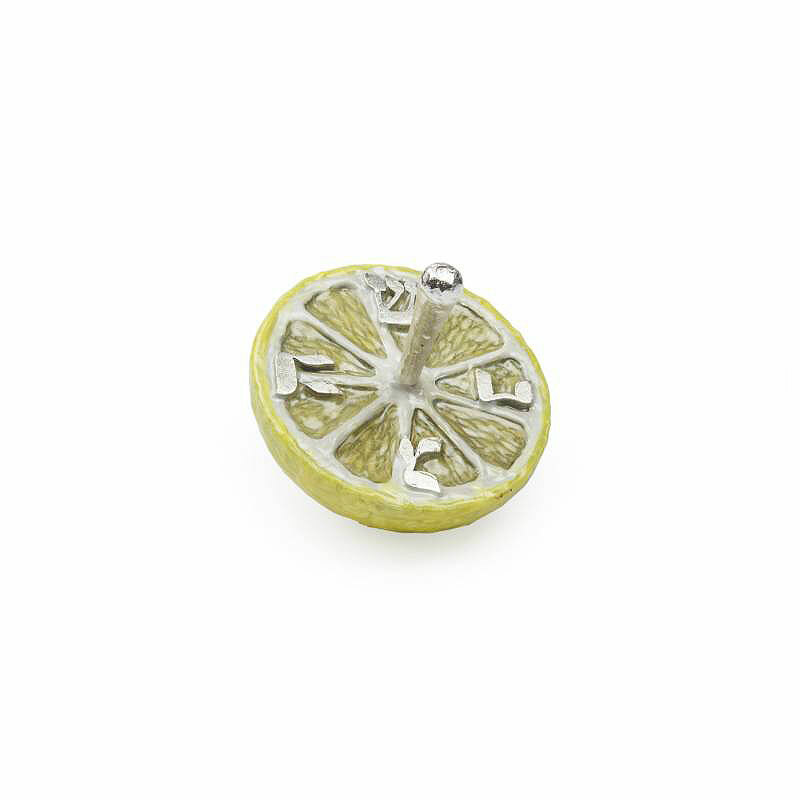 A conversational piece, will adore your collection amuse your guests. An exquisite creation by the world famous Quest collection. All hand work designed and made in NYC. 2.75" High.